The 10 best selling products on Facebook have played their part in granting the massive social networking site its own e-commerce terminology: F-commerce. F-commerce, shorthand for Facebook Inc (NASDAQ:FB) commerce, is defined as “a strategy that focuses on developing or designing ecommerce content and storefront sites within the Facebook social networking site.” It is proof that Facebook has successfully evolved into as much of a power player in the realm of online shopping as anyone, despite the enormity of its competition. 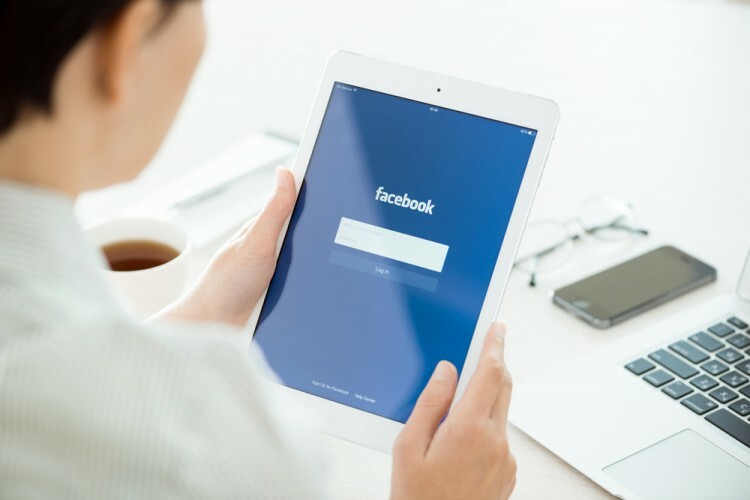 What makes Facebook a good choice for selling products is that as a social media platform, it facilitates word-of-mouth, unlike other e-commerce platforms like Amazon.com, Inc. (NASDAQ:AMZN), Etsy Inc (NASDAQ:ETSY), eBay Inc (NASDAQ:EBAY), and Shopify Inc (US) (NYSE:SHOP). It’s simply a lot easier on Facebook to read or make referrals or product reviews among people you know or are familiar with than it is when dealing with strangers on Etsy Inc (NASDAQ:ETSY) or Shopify Inc (US) (NYSE:SHOP), or with random shops from China on Amazon.com, Inc. (NASDAQ:AMZN) or eBay Inc (NASDAQ:EBAY). Buyers can get product information not just from the sellers themselves, but also from their own network of friends, friends of friends, and so on. With Facebook, you can effortlessly share seller posts or tag people on product photos. Facebook’s “Like” and “Share” functions can also be fully utilized in promoting one’s products. The engagement factor makes product promotion more organic, as opposed to just using ads calculated by an anonymous group of marketers. Thus, the networking aspect is in full play when it comes to Facebook e-commerce. Facebook sellers have their own tactics that make full use of that networking advantage. They usually make posts that engage their followers and keep them top-of-mind, and these are posted at strategic times of the day, which not only depends on the demographics of their audience, but also on the type of product they are selling. They also speak to their followers in the comment sections of each post, making the experience more personal and interactive. One can also pay Facebook certain fees for advertising to expand their reach. Some retailers, such as Gap Inc (NYSE:GPS), Sears Holdings Corp (NASDAQ:SHLD), MAZDA MOTOR CORP NPV (OTCMKTS:MZDAF) and Groupon Inc (NASDAQ:GRPN), made use of Facebook’s check-in function and other features to offer vouchers, promotions and deals to customers. The advantage that e-commerce giants such as Amazon, Etsy, eBay and Shopify have over Facebook is that making and collecting payments is a lot easier on their platforms. On Facebook, one has to make arrangements with the seller to figure out how to pay for the desired product. On the other established e-commerce sites, which were specifically created for selling products online, they employ options such as direct checkout or PayPal. Amazon even has its own payment processing service, Amazon Pay. Facebook also automatically lowers the quality of a photo when it is uploaded to its site, whereas on Shopify, one can show better images or create an overall better design from scratch. On Facebook, sellers are constrained by what the platform allows. Tracking orders on Facebook can also be difficult, with one relying primarily on comments or private messages on Facebook Messenger (which can be in the hundreds if a seller has lots of followers). Although nowadays, sellers can integrate their Shopify and Facebook accounts for a certain fee. Whereas previously, eBay was the go-to place for buy-and-sell endeavors and Facebook was mostly for trendy and fast items, Facebook has become a serious contender with the launch of Facebook Marketplace. This new feature fully takes advantage of Facebook’s connectivity and community-oriented presence to tap into the buy-and-sell market. With Marketplace, one can even discover items that can be bought from people in the vicinity, which adds to the convenience. The best products to sell on Facebook are products that are fun, light and current. It is here that you’ll find all the latest trends in makeup, fashion, leisure and even food. Customers on Facebook usually purchase things on impulse, so it’s important that the products look especially enticing in photos. Engagement and product promotion must come off as authentic and personal. In other words, the products must naturally be “the talk of the town,” as this is what Facebook as a service is arguably most useful for – communication. Thus, despite it being a huge name on the internet, Facebook is not so much a threat to the other big e-commerce sites as it is welcome competition, making online shopping more interesting and multi-faceted to buyers and sellers alike. In this article, we’ll explore the best selling products on Facebook based on analytic pieces on F-commerce and the kinds of products that most benefit from Facebook Inc (NASDAQ:FB)’s style of marketing, as the social media platform is not as transparent with its statistics compared to other e-commerce sites. If you found this list interesting, you might want to also check out our list on Echo and 14 best selling products on Amazon.